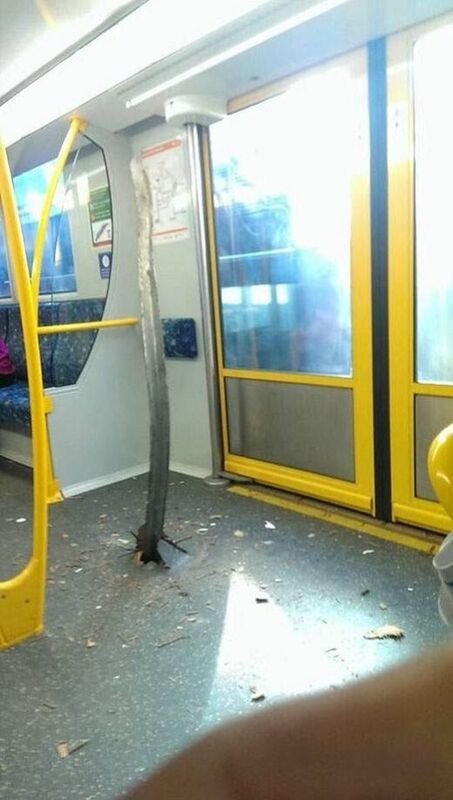 A rail pierced a subway car in the Australian subway. 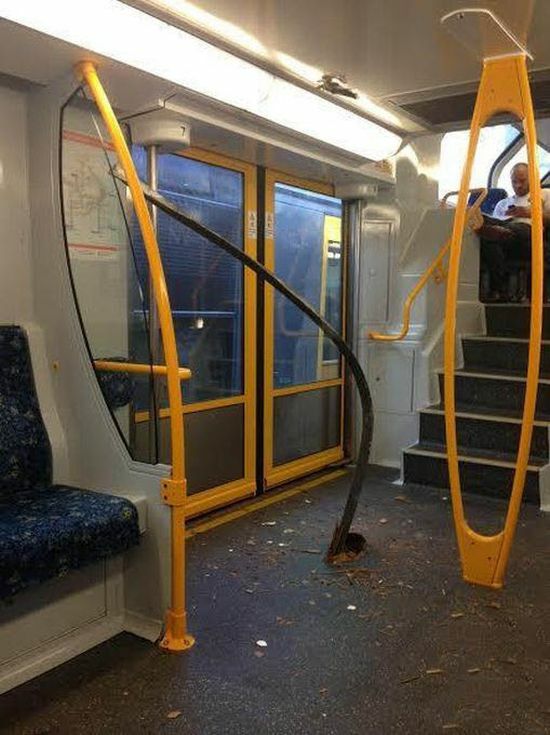 Luckily, nobody got hurt. 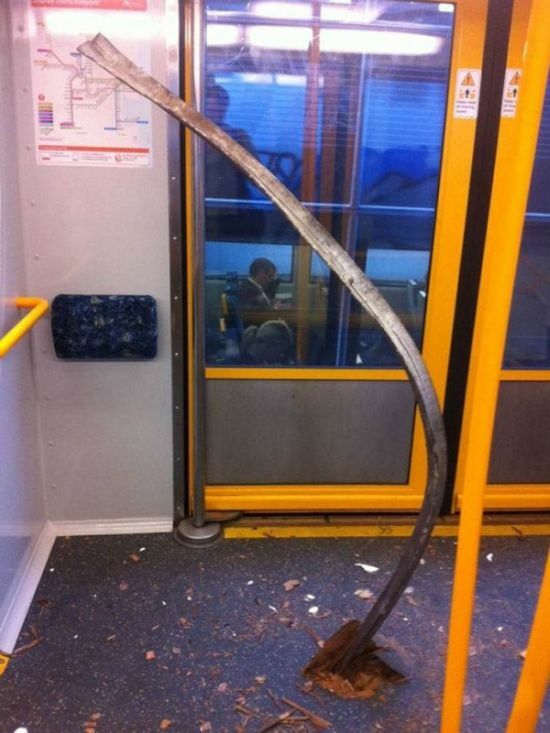 Called a "snake head" Used to be a real problem in the 1800's.